Uga IX is retiring and Uga X is ready to take over the Dawg house! The University of Georgia announced Thursday that Uga IX, affectionately known as “Russ,” will retire as Georgia’s bulldog mascot at age 11, after working 25 games as an interim mascot from 2009-12, then another 38 games as Uga IX from 2012-14. 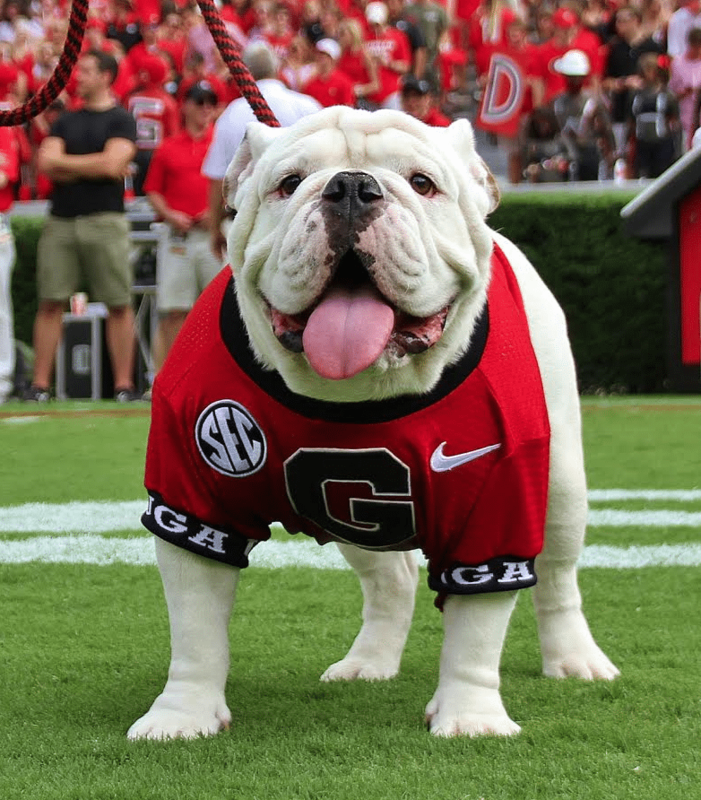 Uga X, known as “Que,” will officially become the new mascot on Nov. 21 , when the Dawgs take on Georgia Southern at home. Que has served as interim mascot for the past three months, attending the team’s Picture Day in August and all seven football games. The continuing line of Georgia Bulldog mascots has been owned by the Frank W. “Sonny” Seiler family of Savannah, Ga., since 1956.